Works great came early and is in mint condition as it promised love it!! Brings me back to my childhood. The people at Lukie Games really know what they're doing. I'm so happy to have found this system in great condition at an awesome price. It works like a dream. Thank you! I've purchased many items from here. Over 20 snes games, Snes console, N64 and games, GBC with games. Everything comes in excellent condition. I have referred lukiegames.com to all my friends at work. Highly recommend. Love the local gaming stores but they just cant beat it. Happy I waited and played this amazing piece of my childhood, my first one was stolen from my locker. 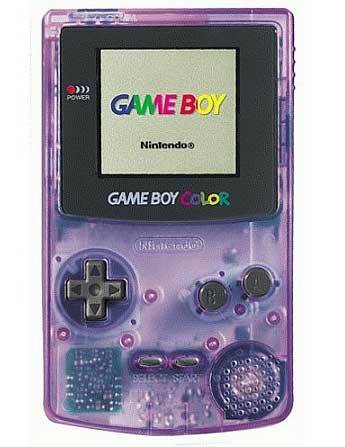 The condition of the handheld was great. Plays very well. Some minor scratches on the screen. My only complaint is that the volume only works if I have headphones on. Without the headphones, nothing comes out but static. Looks nice and works well. The new replacement screen scratches unusually easily even compared to the original screens. Use screen protectors, or buy an extra screen. Got the system about 2 weeks back. It was in great condition and shipped carefully. Everything was close to brand new. The sounds were great, all buttons were working and gameplay was smooth with zero problems. Thank you Lukie Games! Bought this for my husband for Christmas because he's been talking about how he use to play this when he was younger. He loves it and it's in such great condition haven't had a problem whatsoever. Will definitely buy fro here every time! I love my Gameboy Colo re! Takes me back to my childhood. Yes this item was good quality with good clear picture and sound.Will buy again. I GOT MY GBC TODAY I AM VERY HAPPY ABOUT IT AND THE QUALITY IS AMAZING NEW SCREEN FEELS NEW TO ME! THANKS LUKIES!!!!!!!!! 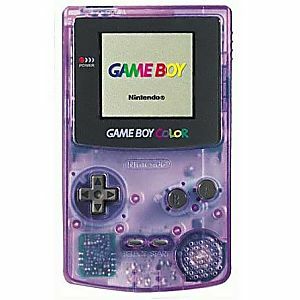 I love this gameboy its the best really satisfied with it, i always wanted a different color gameboy to hold and play lots of memories came back to me thanks lukie games!!! !